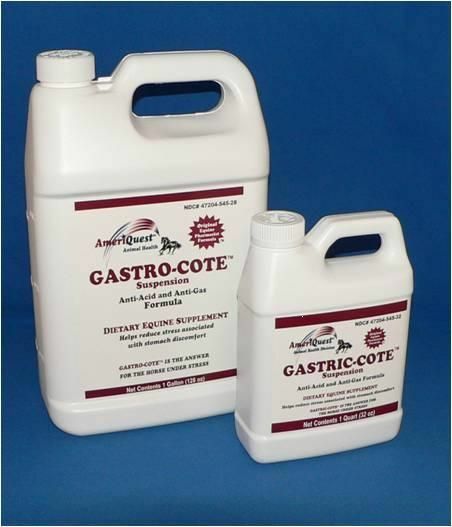 What is Gastro-Cote Horse Supplement? For the relief of distress and discomfort associated with gastric disorders and stomach discomfort in horses. Most horses that participate at high levels of performance, regularly suffer from gastric discomfort. When horses experience stomach distress, they have poor appetite, appear to be moody, can suffer mild to severe colic and their performance levels can diminish. Horses are natural grazers and due to the feeding schedules of performance horses, grazing time is reduced. As a result, the horse’s stomach remains empty for hours at a time which causes the acids to make contact with the lining of the stomach. This leads to continual stomach distress and possibly the development of gastric ulcers. Gastro-Cote helps reduce the stress associated with these discomforts by providing a buffered formula that soothes and coats the stomach while eliminating gas build-up. Who is Gastro-Cote Horse Supplement for? How does Gastro-Cote Horse Supplement work? Gastro-Cote contains DUAL action combination of anti-acid and anti-gas ingredients. This unique formula helps form a protective coating while eliminating gas build-up for the horse under mild to moderate stress. 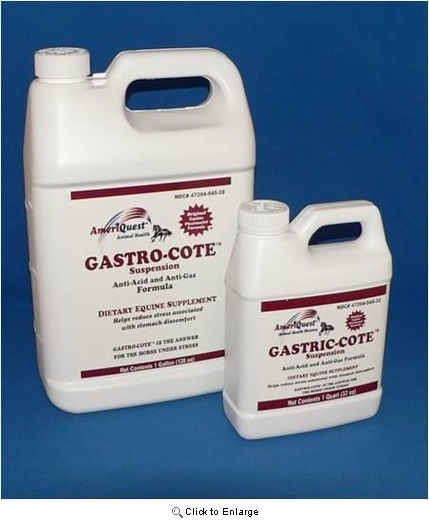 How is Gastro-Cote Horse Supplement used? Mature Horses: Feed two 2 ounces (60mL) twice a day. Foals: Feed one (1) ounce (30mL) twice a day or as recommended by your Veterinarian.